Steffi Graf, Martina Navratilova, Monica Seles, Serena Williams, Venus Williams, Gabriela Sabatini, Arantxa Sanchez Vicario, Justine Henin... Which is the best female player of all time? Tennis is a sport that originated in Europe in the late 19th century. It was played by upper-class Anglo-Saxons. Since 1926, with the creation of the first tennis tour, tennis is a professional sport. Also, since the Seoul Olympic Games of 1988, tennis is an Olympic sport. 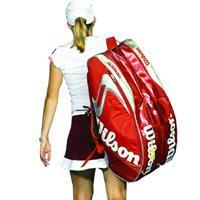 Nowadays tennis is one of the most popular and viewed sports. Go ahead and participate in this ranking by voting for the best female tennis player in history.